Well, the hope didn’t kill us after all. This blog remained optimistic that the Tories could be kicked out throughout the seven weeks of the general election campaign, and although they are clinging on, limpet like, the optimism was justified. This wasn’t the result the Tories and their backers in the mainstream media expected. The Tories have lost their majority in the House of Commons, and are being propped up by the bigots of the Northern Irish Democratic Unionist Party (DUP), homophobic, anti-abortion and climate deniers, they make UKIP look like liberals. What may be a short term gain for the prime minister and the Tory Party, staying in government, probably at a price of increased funding for Northern Ireland, could well be a longer term further toxicity to the Tory brand. Giving extra money to Northern Ireland, whilst the rest of the UK endures more Tory austerity will not go down well in England, Scotland and Wales. But more than this, the illiberal attitudes that are the stock in trade of the DUP, will be a big turn off for many, including the more liberal types of Tory, I forecast. For the Prime Minister, Theresa May, this election result was a personal disaster, and a complete humiliation. After months of telling everyone there would be no early general election, she called one, in what became the first of many U-turns during the campaign. She said she called the election to increase her majority in Parliament, and to give her a stronger hand in the upcoming negotiations with the European Union (EU) on the UK’s terms of exiting the organisation. The majority has not increased, it has been lost altogether and her hand at the Brexit negotiations with the EU has been weakened. May made matters worse with her speech in Downing Street yesterday, delivering what I think was pretty much the same speech that had been written weeks ago when she was expecting to win an increased majority of around 100 seats. Apart from adding a few lines about her friends in the DUP, this was what she was always going to say. No acknowledgement of what had just happened, she intends to carry on as normal. A complete denial of her rejection by the voters. The woman is deluded. Congratulations to Green MP Caroline Lucas, who almost doubled her majority in Brighton Pavilion, with little else to cheer for the Greens, but we played our part in the election result by standing down for Labour and the Lib Dems, although we have some thinking to do about future strategy. Congratulations to Labour who ran a good campaign and to its leader, Jeremy Corbyn, who surpassed all expectations and was rewarded for his relentlessly positive attitude and who refused to join May in the gutter of trading personal insults. The right wing media got a bit of a bloody nose, as their dire warnings of calamity if the Tories were not returned with a bigger majority, fell largely on deaf ears. In fact, I think it actually backfired and encouraged more people to vote for Labour, such was the tone of their attacks on Corbyn. Young people made sure their voices were heard in this election by turning up to vote, with reports from around the country, in university towns and cities, of queues on young voters at the polling stations. It could be that other groups who don’t normally turn out in large numbers also voted this time. So, can May survive? Not for very long I think. 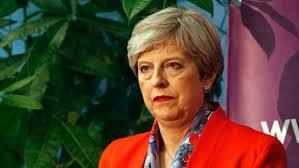 The Tories will be determined to keep Labour out of power, so in the short term she will probably be allowed to stay on as prime minister, but she is fatally wounded now, and it is only a matter of time before Tory MPs replace her. Who will wield the knife though? My money is on Michael Gove, former Education Secretary and the first to be sacked when May became prime minister. Gove and May are long term enemies and the former will want revenge. I expect he is just biding his time. In the meantime, people outside of Parliament should demand another general election in the autumn, because we can’t allow ourselves to be ruled by a bunch bigots from Northern Ireland. Bring it on.